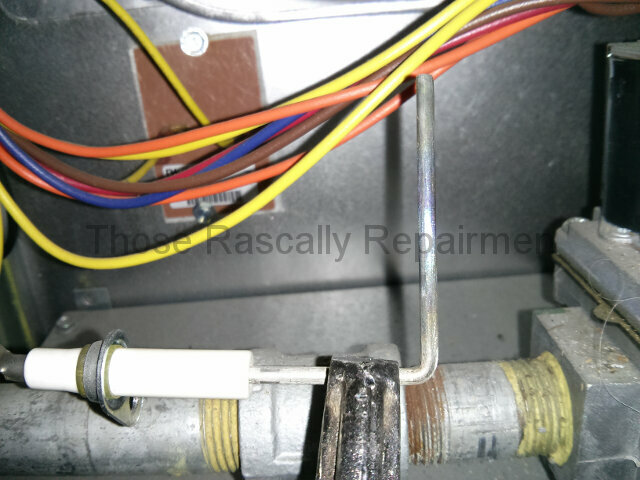 Mixer’s repairman said that the furnace was at the end of its life. He checked the back of the circuit board for brown spots that could, ostensibly, indicate imminent failure. 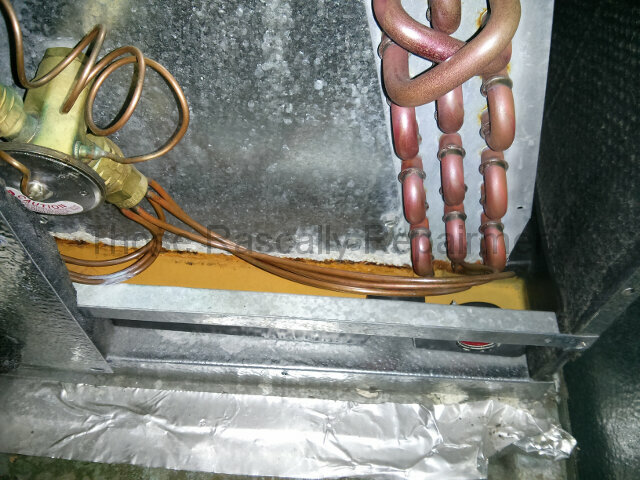 He also explained that the white stuff at the bottom of the cooling coil meant that a pipe might be broken and water damage might ensue. See the white stuff? You might have to squint. Mixer’s repairman seemed full of conviction, so perhaps he believed what he said. Nevertheless, it was a load of bull. The furnace is less than twelve years old. It could go another twelve with ease. Brown spots on functioning circuit boards are meaningless. 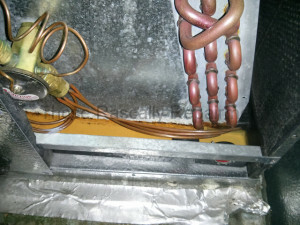 And the white stuff on the cooling coil is zinc oxide. It’s naturally moist in there. Oxide happens. That was a few weeks ago. 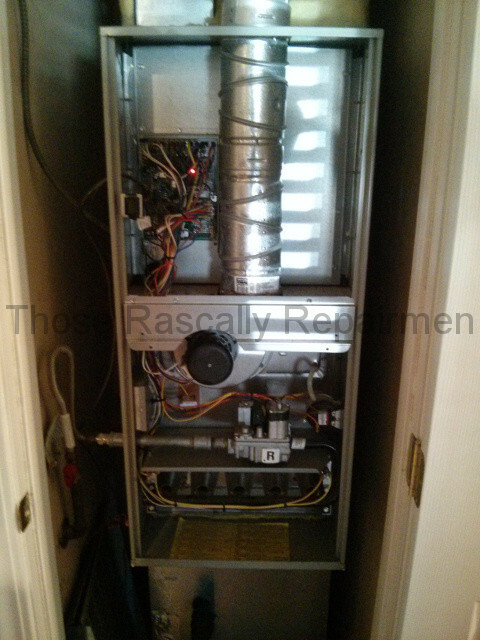 I was called out today because the furnace failed again. This time it had a bad igniter. The igniter may have been the real problem all along. We’ll never know. What we do know is that Mixer Mechanical’s repairmen have been full of something other than conviction for decades. Not full yet? Click here for more. 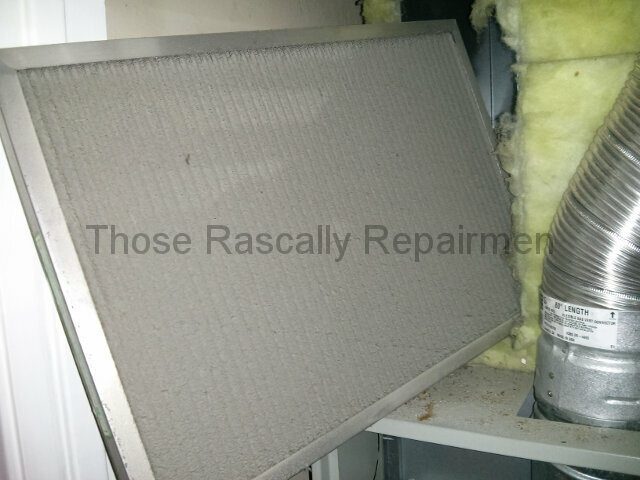 MM’s repairman left the filter as you see it below. It’s full of dirt. It hasn’t been cleaned in at least a year. Any rookie repairman will tell you that checking the filter is part and parcel of providing full service. I guess that’s one thing Mixer Mechanical isn’t full of.